It’s no secret that Kona on the Big Island of Hawai’i is a hotspot for sport fishing, and a mecca of sorts for blue marlin. 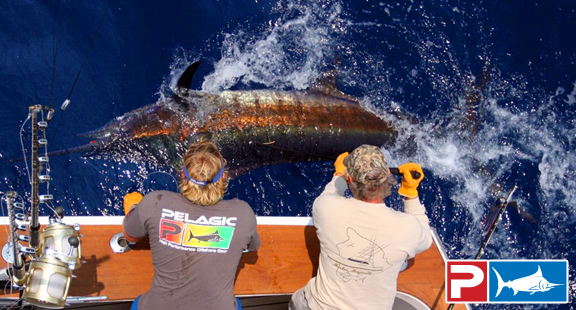 Given its rich history in our industry, Kona stands out among all other places as the premier destination for those in search of the ever-coveted “grander”, or marlin over 1,000-pounds. 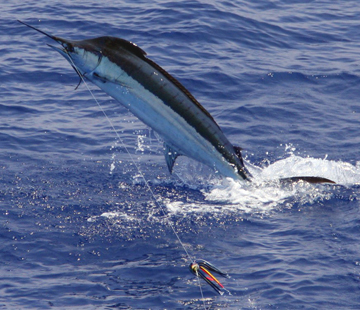 While other famed blue marlin havens, such as Cape Verde, The Azores, or Bermuda will typically have a short season when their fish move through, Kona seems to produce year-round. 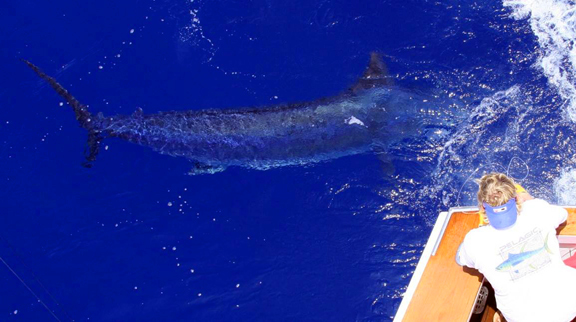 In fact, except for November, grander blue marlin have been recorded in every month of the year around the Big Island. Below: Marlin Magic II first mate, Nate Cary, wires these 475 and 700-pound blue marlin in the warm, azure waters of Hawaii. The Big Island of Hawai’i is the largest of the Hawaiian archipelago – it was created by five separate shield volcanoes, three of which are still active today. With an area of 4,028 square miles, it is more than twice the size of any of the other islands in the chain. It is the eastern and southernmost island of this Pacific paradise. 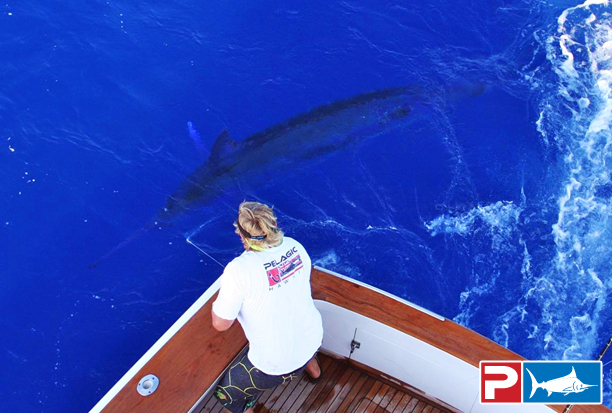 Below: Hawaiian blue marlin legend and Pelagic Pro Team Captain, Marlin Parker // A blue hooked aboard Marlin Magic II takes off for the Kona coast. Overall, Kona had a good summer with quite a few big fish caught. The biggest was a 1,043-pound blue caught by Rod Bender in the Marlin Magic Lure Tournament. There were three other fish caught over the 1,000-pound mark and many others that were either lost or seen. 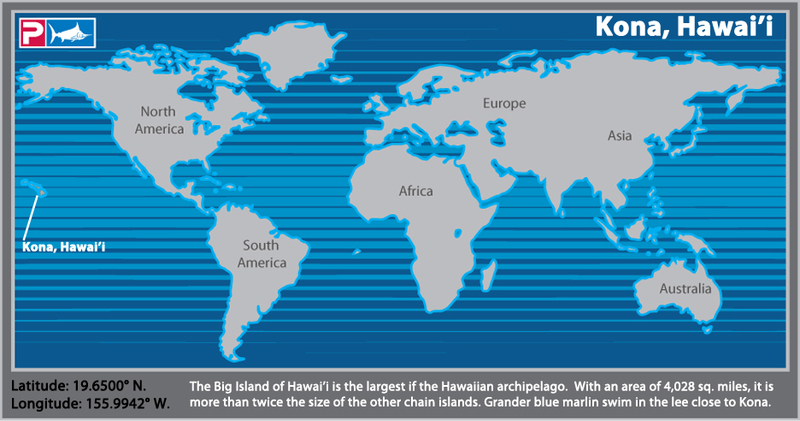 Kona should be on the top of your list of destinations to target Pacific blue marlin granders! Congrats to Bermuda for taking home the Blue Marlin World Cup this year – however, a non-tournament boat in Kona did weigh-in a 750-pound blue that would have taken the crown. Marlin Magic II had a fantastic summer of big fish, with the largest weighing 964-pounds and many others of that class released to fight another day. 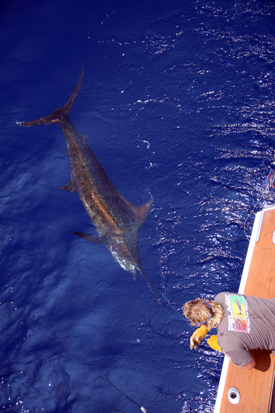 One other highlight was implanting a satellite tag in a blue marlin that looked to be over 750-pounds. Below: This fired-up blue put on a show in front of the lens of artist and photographer, Carol Lynne // Captain Parker implants a spaghetti tag as Nate Cary readies the fish for release. 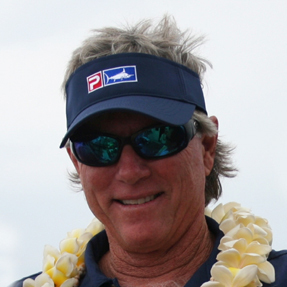 It was a great year for yellowfin tuna off the Kona coast as well. We had a lot of fish over 200-pounds and up to 260. Most fish came off of blind trolling strikes, as well as running-and-gunning on porpoise schools. 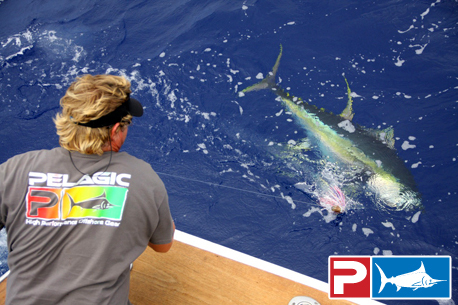 Below: A couple of large ahi get acquainted with Marlin Magic II. The yellowfin were in thick on the pods of porpoise during the summer month's of Kona. Weather conditions throughout the summer were excellent with flat seas and temperatures in the mid-eighties – ideal fishing conditions. 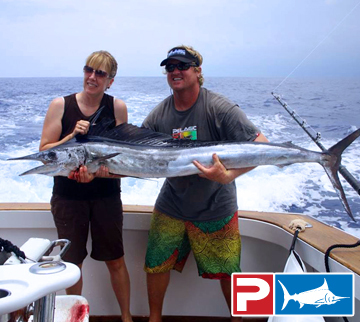 A fishing vacation to Kona is a great experience for the entire family – it is safe, clean, and the people are very friendly. 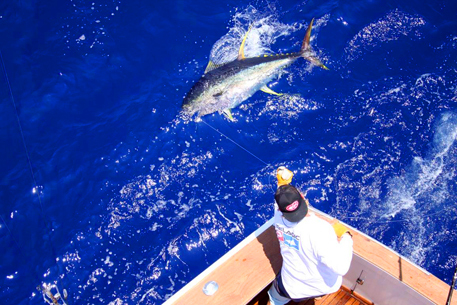 Besides blue marlin, anglers can encounter a wide variety of gamefish including yellowfin and bigeye tuna, mahi mahi (dorado), ono (wahoo), spearfish, sailfish, striped marlin, and even the occasional black marlin. The island truly is an outdoorsman’s paradise with not only great fishing, but also incredible kayaking, hiking, snorkeling, diving, and many other watersports. 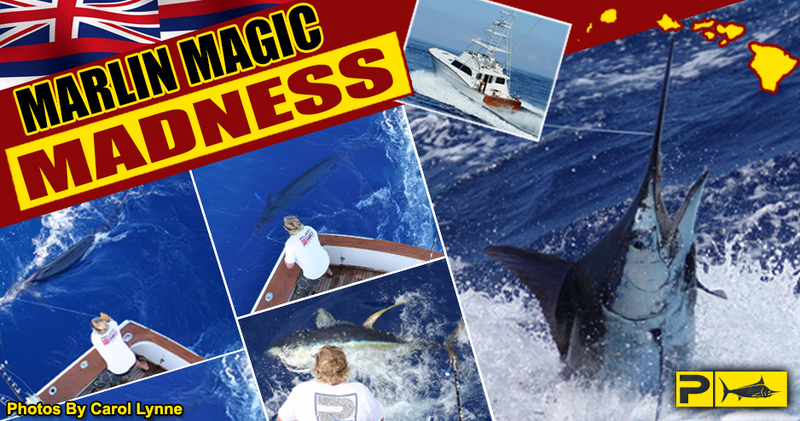 Below: 946-pounds of blue marlin madness! // Spearfish are just one of the many gamefish species you can encounter while prowling the waters off Kona.